A jury recently found a former police officer guilty of multiple violent crimes after a two-day trial in the Circuit Court for Prince George’s County. The shamed officer was indicted for an incident that occurred in May of 2014, when the officer questioned a man for sitting in a parked car. The man was parked in front of his Bowie home along with his cousin, and exited the vehicle after exchanging words with the officer. As the man was walking toward his front door the former patrol officer pulled out his firearm and ordered the man back in the car. The officer then pointed his gun at the victim’s back as he directed him to the vehicle. 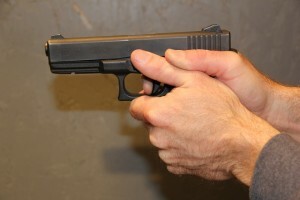 After the cop pushed the victim they turned to face each other, and at this time the cop had his gun pointed directly at victim’s head and then with the barrel mere inches from his face. The victim was then arrested for disorderly conduct, a case that was dismissed by prosecutors six months later. The verdict came down earlier this week, and shortly thereafter the county police department release video of the incident, which was filmed on a cellphone. After viewing the video it was immediately apparent why the twelve jurors found the officer guilty of all the serious crimes for which he was charged. The charges included first degree assault, second degree assault, use of a handgun in a crime of violence, and misconduct in office. First degree assault is a felony that carries a maximum 25 year sentence, while second degree assault is a misdemeanor with a 10 year maximum. Misconduct in office is a common law crime with no specific maximum penalty. While each of these three crimes certainly carries severe punishments, it is the misdemeanor use of a handgun during a crime of violence charge that will carry the most weight. A conviction for this offense carries a mandatory minimum 5-year prison sentence that may not be suspended. In addition a defendant sentenced under this statute is not eligible for parole. Sentencing is set for early January, and will likely include a term of probation after expiration of the mandatory prison time. During a press conference this week the police commissioner for Prince George’s County condemned the officer’s actions, and implored the public to refrain from passing judgment on the other 2,000 plus officers in the department. He stated that this was a criminal act of a single man and will not be tolerated in any way. While the officer is technically still with the department, his firing is a mere formality at this point. He has been suspended without pay since the indictment came down, and the only thing preventing his termination is the administrative process that government employees are afforded before being fired. This is certainly a busy week in Maryland for police misconduct cases, as Baltimore City police officer is currently in trial for his role in the death of Freddie Gray. The Blog will continue to follow both of these cases and may post a follow up article in the near future. 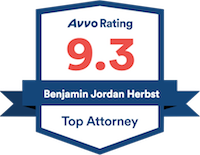 Benjamin Herbst is a Maryland criminal defense lawyer who handles assault and handgun cases in all state and federal jurisdictions. Contact Benjamin for a free consultation about your case at anytime.